Through readings, art, meditation, and prayer, this bestseller provides an inviting guide for deeper spiritual living. Through readings, art, meditation, and prayer, this contemporary classic provides an inviting guide for spiritual living. For nearly 25 years, Space for God has helped individual readers and small group participants experience a deeper spiritual life. 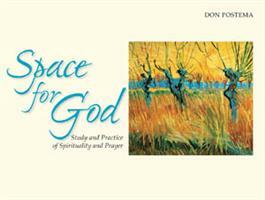 Using the art of Van Gogh and the writings of John Calvin, Thomas Merton, Henri J. M. Nouwen, C. S. Lewis, and others, author Don Postema offers a series of meditative readings and spiritual exercises that will deepen your faith.